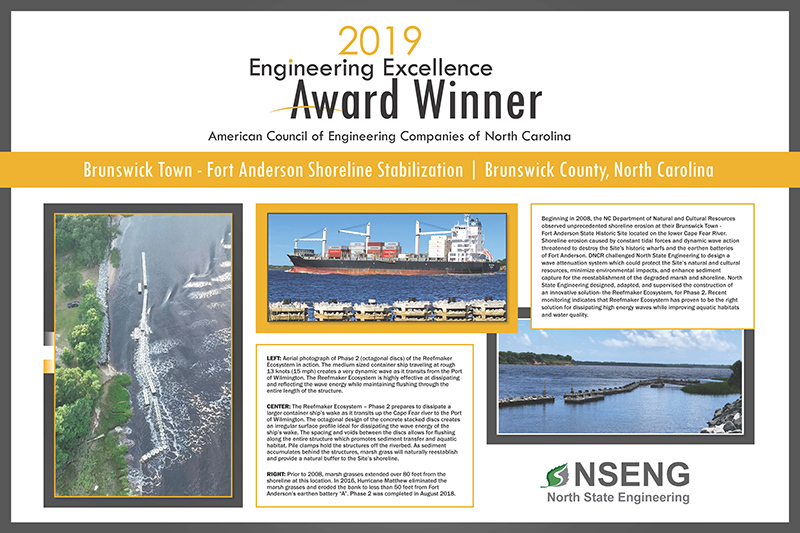 The Brunswick Town/ Fort Anderson, Phase II project received recognition from the American Council of Engineering Companies (ACEC) of North Carolina. The Engineering Excellence Award honors the year’s most outstanding engineering accomplishments. The honors award from ACEC-NC for the Brunswick Town/ Fort Anderson, Phase II project was presented on November 9, 2018.